Attacks by academics and the media on the University of North Carolina system’s Board of Governors have become a major part of the state’s political landscape in recent years, and such attacks may be intensifying. The board is described at times as inept, divisive, “partisan,” “anti-intellectual,” and mean-spirited; unless they are “reined in,” North Carolina’s public university system will suffer a great loss of prestige, deny academic freedom, and become the tool of oafish politicians. But that is mere political rhetoric. Despite the negative impression its opponents try to present, the current members of the UNC Board of Governors tend to be more engaged, more willing to address difficult issues, and more understanding of their proper positions atop the system than their predecessors. If there is more conflict than previously, it is because prior boards abdicated their role to exercise oversight of the system and campus administrators. And because the current board’s predecessors ignored problems and left behind a system in need of change. For most of the UNC system’s history, Democratic legislators appointed a large majority of Democratic board members who hired Democratic system presidents to oversee liberal academics; naturally, there was little conflict. All the gears meshed as in a well-oiled machine: Board members universally rubberstamped the wishes of administrators and board meetings seem more like friendly social gatherings than events where important decisions were to be made. Not so today. And some powerful interests wish the public to believe that the board is causing problems rather than attempting to solve them. The first salvo of the New Year against the board came from Stephen Leonard, a former chair of the UNC system Faculty Senate and frequent board critic. 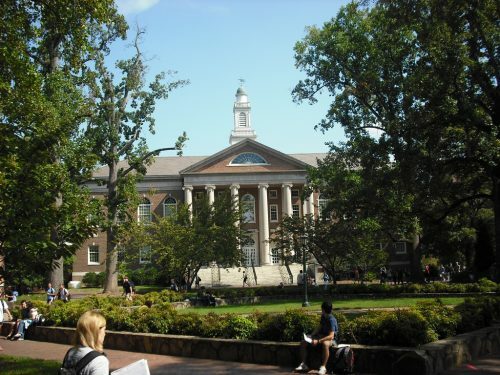 In an opinion article titled “Five Steps to Fix the Turmoil at UNC” that appeared in various newspapers around the state, Leonard clearly placed the blame for UNC’s fractured politics on the board’s shoulders. In an over-the-top metaphor, Leonard equated the governors’ activities with those of King George III in 1776, complaining of “a long train of abuses and usurpations.” But then he also described the board’s actions as “eight years of petty affronts,” which does not sound like cause for revolution. It does, however, date his problem with the board to when Republicans assumed control of the legislature rather than to any specific policy or board personnel changes. Then the Raleigh News and Observer’s editorial board followed with a “fixer-upper” of its own called “How to Fix the UNC Board of Governors.” Foremost among the N&O’s complaints was that respected leaders such as former Chapel Hill chancellor Carol Folt and former UNC system presidents Margaret Spellings and Tom Ross, with all their illustrious credentials, have been driven out of the system’s leadership by a know-nothing board. But shiny credentials do not always equal fitness for the job. Those former leaders represent a perspective that no longer serves North Carolina’s public universities well; under the rule of the academic establishment to which they belong, wide swaths of the academy become politicized and inhospitable to alternate points of view. The N&O op-ed expressed concern that the board seeking administrators more in accord with their own values—which is to be expected—will hurt UNC’s reputation. But the real issue is whose values the university system wishes to advance. The paper’s editors fail to see that the board is protecting the university’s reputation among the general public and their elected representatives. The only reputational losses that UNC may suffer because of the board’s actions will be in academia, the establishment media, and liberal enclaves. And there is probably nothing a Republican board could do to please those constituencies, except, perhaps, relinquish its rightful authority. Among the portion of the population that is neither employed in academia nor politically far to the left, UNC’s reputation is more threatened by its inability to get its politicization under control than because of a contentious board. Two examples of this dynamic are the University of Missouri and Evergreen State College in Washington, both of which suffered substantial enrollment drops when their failures to get a handle on campus radicals were exposed. Several other complaints made by Leonard were that the board had to “rein in errant members” and that board members should no longer participate in chancellor searches. 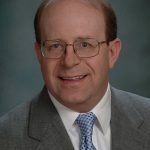 The latter complaint was likely prompted by a recent incident in which the board rejected Spellings’s choice for the chancellorship of Western Carolina University after board member Tom Fetzer performed additional due diligence on Spellings’s recommended candidate. While the public will likely never know the particulars of the case, Fetzer’s intuition was apparently correct, for the investigation must have uncovered something negative that the accepted procedures did not. Although Fetzer deviated slightly from standard procedures—for which he was roundly attacked—he took it upon himself to save the system from a poor choice for chancellor; should that not be reason to question the procedures that failed to perform the proper diligence and not Fetzer’s actions? The legislature gave the board the final say on all chancellorships for a reason, and in this case, the precaution worked. Just because some don’t like the board’s current make-up is no reason to end a necessary final review for filling such an important position as chancellor. And board members should feel free to speak out—to exercise their academic freedom in matters of public concern—as much as faculty and staff. Board meetings should be noisy and contentious at times. The state should celebrate that the current board is no longer a mere rubberstamp committee for the administration but is much more actively engaged than were previous boards. Another ongoing criticism of the current governors is that they have “politicized” the system’s governance. This is a specious claim; almost all of academia has been highly politicized since the 1960s. Indeed, the political left has staked out academia as its private sanctuary and launching pad, and that includes the UNC system. Academia’s leftward drift is almost total: in a recent study conducted by the Econ Journal Watch, the ratio of Democrats to Republicans in the economics, history, psychology, journalism, and communications departments and the law school is 23 to one. In a 2014 Martin Center study of UNC system English departments, the ratio for tenured or tenure track faculty was 19 to one; at Chapel Hill, it was 28 to one. Some members of the board are merely, in rather limited measure, reintroducing the beliefs and values of a majority of the public. Furthermore, the governing board is exactly the place in the system where political discussions should occur, since the board is where the system’s mission, direction, and strategies are decided. The campuses are for education and research; they should not become political battlefields (as has been the case at Chapel Hill in the past year). Furthermore, the governing board is exactly the place in the system where political discussions should occur, since the board is where the system’s mission, direction, and strategies are decided. Current board chair Harry Smith is right to suggest that the board’s critics are not unbiased observers but have a political agenda. When it comes to actual governance, the governors have not deviated all that much from the policies of their predecessors. As Smith points out, they have focused largely on increasing access, efficiency, and providing better information, all longstanding goals. One policy change that enraged entrenched campus interests is the elimination or limitation of academic centers that were overtly political. But even then, the board’s touch was relatively light. Three centers were closed in 2015—but that was out of hundreds throughout the system. And just because a center is funded initially does not mean that it must be funded in perpetuity. Additionally, in 2017, the Chapel Hill School of Law’s Center for Civil Rights was prohibited by the board from litigating to prevent the potential for one state agency to sue another—an absurd and counterproductive practice. A couple of recommendations by Leonard and the N&O are sensible. One is to reduce the board from 28 members to 24. (The legislature already reduced it from 32 to 28.) Another is for the state governor to make at least four appointments to the board instead of letting the two houses of the legislature completely control the board’s make-up. But where were those recommendations a decade ago when the Democrats were in control? And neither of those policies would impact governance greatly. There are things the board should do to open up things more, such as letting the full board or even committee members elect committee chairs instead of letting them be determined by the main chair. But by and large, the board is performing the job they were selected to do relatively well. Given the breadth of their job and the intense microscope they are placed under, they can hardly be expected to be perfect or to please everybody. Certainly, they make decisions that disappoint conservatives at times and liberals at others. The critics’ real objection is that the board now contains influential members with a different philosophy of life and education and that the university system may no longer be their private soapbox from which to spread their ideas. And that is why they are so quick to attack and make it seem as if it is universally accepted that the board is somehow “broken.” Too often, Republican leadership cowers and submits when the media wolves close in. The current Board of Governors would be better off rejecting that defeatist posture and pressing on, for the good of the state and the good of the UNC system.